Saturday’s Group 1 Thornton Mile race at Trentham proved to be one of the most exciting races of the season. Both on the track and off, history was being made. On the track, it was Rosie Myers who added another notch to her belt as she guided home Thee Auld Floozie to another clear victory against a tough field. Myers is now closing on 500 wins in New Zealand alone. Her list of achievements includes winning the Brisbane Cup as well as earning international acclaim for her ride on Benzini in the Hong Kong Vase. Off the track it seems, more history was being made. For one lucky punter, Thee Auld Floozie’s first group 1 win was overshadowed by sheer scale of the payout made from a Pick Six bet. 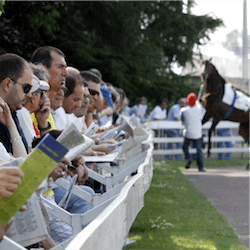 According to a TAP spokesman, the Pick Six dividend of $197,010.80 was won by a single ticket at Trentham. TAB did not release the details of how much was spent on the ticket or how many selections were made overall. It may have been coincidence or it may have been destiny, but in any case, the number 13 was instrumental in the massive Pick Six win. On Saturday, Thee Auld Floozie was wearing the number 13 saddle cloth along with Heisenberg, the winner of the sixth and final leg. Early on in the day, hundreds of units dropped out of the running as not a single favourite succeeded in winning any of the six legs. It seemed that it was an outsiders betting day with punters throwing their hands up in despair as favourite after favourite dropped out. The first leg at Trentham was won by Dream Dancer at odds of $4.50. In second was Captain Lincoln at odds of $8.90 followed by Nicoletta ($10.60), then Lucyinrio ($6.40) and Thee Auld Floozie sitting at odds of $10.50. While Saturday’s Pick Six winner was certainly the biggest, it was by no means the only good bet. One astute punter won at total of $1,780.00 betting $10 on Thee Auld Floozie and $35.00 on Melody Belle. The biggest multi winner for the racing weekend belonged to one punter who managed to combine four runners at the Palmerston North Greyhounds with the Woodville gallops winner. A small investment of $50 pulled in a return of $7,695.00; not bad work for one weekend. 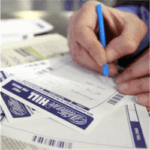 Punter Turns £10 bet into £71,000 When Chelsea was crowned the Premier League Champions, there were more than a few punters who were happily cashing in on their success. Being …. 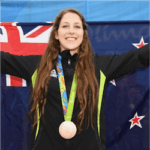 Lisa Carrington Crowned Queen of Sport After being named the 2016 sportswoman of the year, New Zealand gold medal canoeist Lisa Carrington also picked up the prestigious supreme Halberg award …. 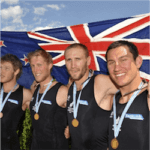 5 Great Kiwi Sports Achievers We brought you the best athletes in New Zealand, so now it’s time to take a look at the top achievers of the last year. …. 5 Great Kiwi Performers of 2016 2016 has been a great year for New Zealand sports. There have been many standout performances but there have been 5 that stand out ….